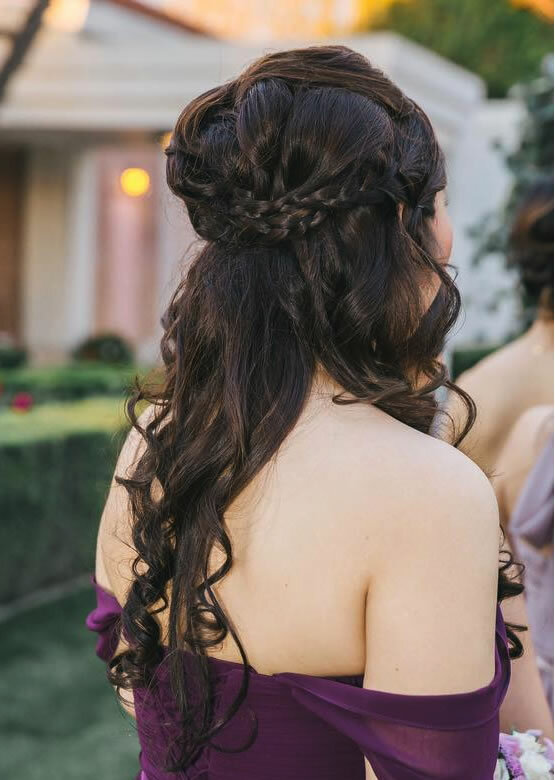 Hollywood Bridal has a professional team of young makeup & hair artists that can accommodate small to large wedding party or special events. 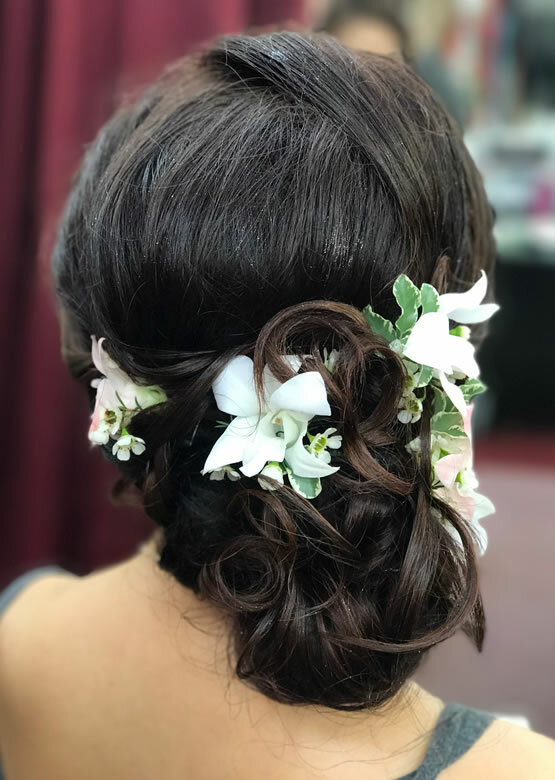 We specialize in wedding makeup & hair with over 10 years of experience in creating beautiful and elegant look for our brides. 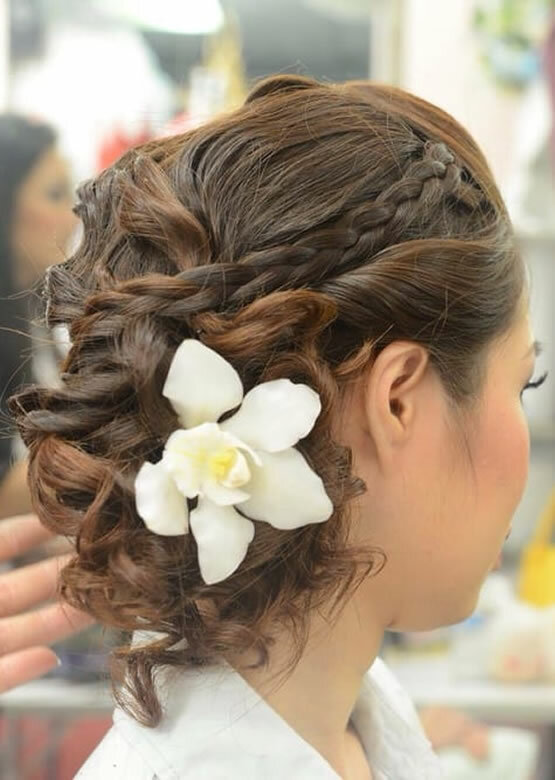 Our team is committed to create any look and any hair styles our clients desire. 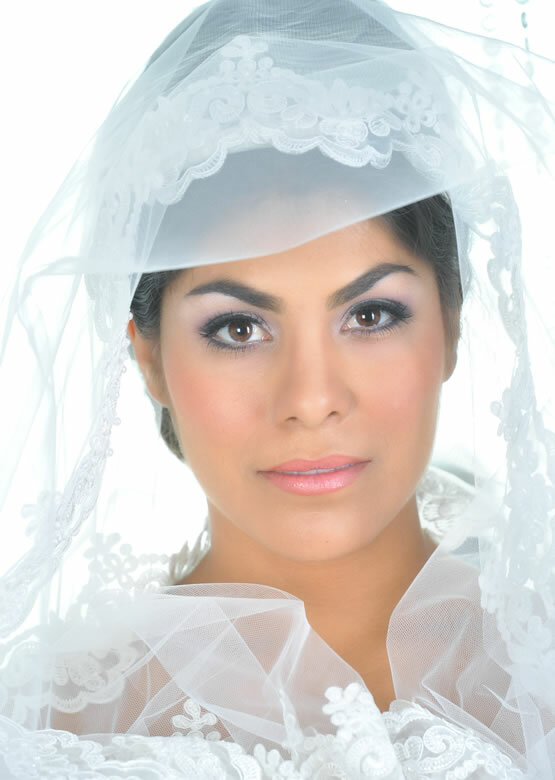 Bride: $250 - Airbrush makeup included. 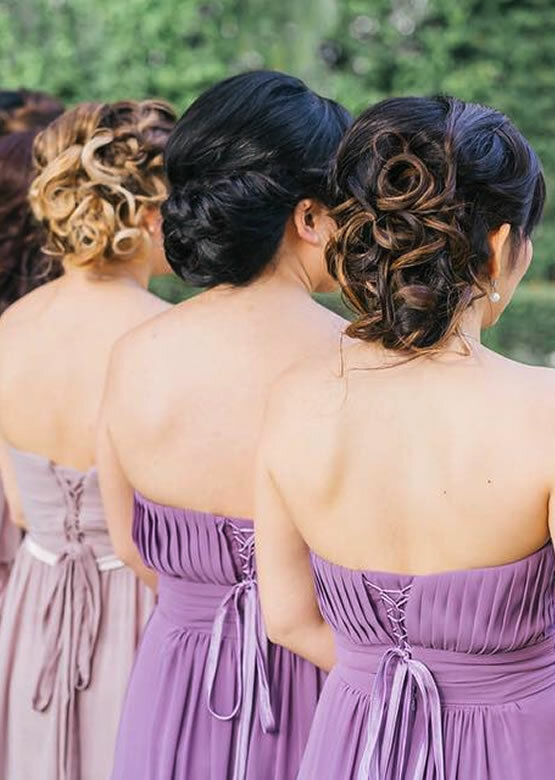 FREE 1 time touch up before reception at requested. 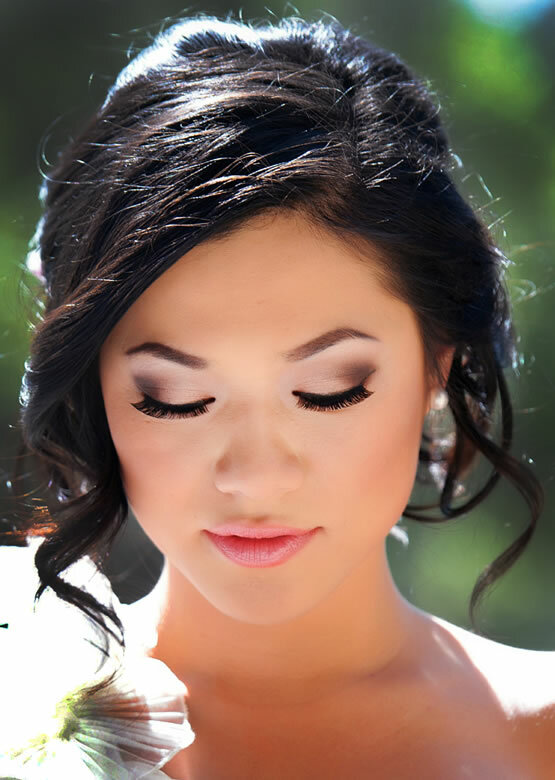 Bride: $300 – airbrush makeup included, on location touch up $75, FREE touch up at Hollywood Bridal. *For location outside of Orange County: Additional traveling fee may apply. Please talk to our specialist for large group discount and special pricing for long distance commute. **(All complete package includes false lashes, false eyelids if needed, and Free fresh floral hair pieces.). 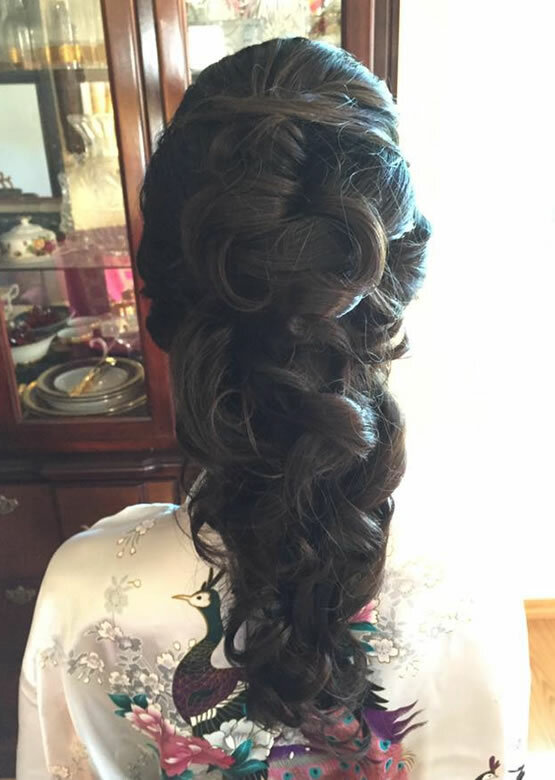 Makeup and hair trial is available. Please come into the store for more information. Appointments must be set up in advance.